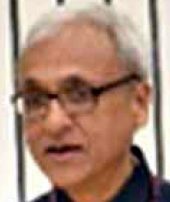 The former Haryana cadre officer, Sanjay Kothari is currently serving as the Secretary to the President of India after being re-employed in August 2017 following the election of Ram Nath Kovind as the 14th President of India. 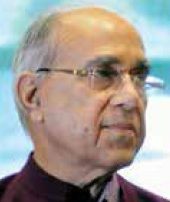 Throughout his career with his parent cadre and at the Centre, he enjoyed the reputation of being an upright officer and had a long stint in the crucial Department of Personnel and Training (DoPT), where he went on to become the Chairman of Public Enterprises Selection Board. During his stint in his parent cadre, he served in several important departments such as the Haryana Bureau of Public Enterprises, Women & Child Development, Personnel Department and Tourism Department, among others. The former Indian For-est Service officer from Gujarat, during his stint as the Resident Commissioner of Gujarat Bhavan, was one of the most well-connected bureaucrats representing the state in Delhi. During his days as Resident Commissioner of Gujarat Bhavan, Lal was the main pointsman of Narendra Modi when the latter was the Chief Minister of Gujarat. He liaised with the industry to get investments into the state. It’s believed that Lal played a crucial role in convincing Maruti Suzuki to make major investment in the state. Lal was one of the four bureaucrats—along with Nripendra Misra, Ajit Doval and Arvind Kumar Sharma—who were handpicked by Modi immediately after he became the Prime Minister four years ago in 2014. During the initial days, before moving to the President Secretariat, Lal handled the Prime Minister’s media outreach programme along with Hiren Joshi. 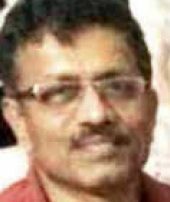 The former Kerala cadre IPS officer, who went on head the Intelligence Bureau (IB) from July 2004 to January 2005 and is the first IPS officer to receive the Kirti Chakra, Doval is arguably the most powerful bureaucrat in the country and is one of the few officers who has the ear of Prime Minister Modi. Though, as the NSA, he sits on the top of the country’s security pyramid, his defined and undefined remit extends well beyond the limits of his role. As the NSA, he is also head of the National Security Council (NSC), which advices the Home, Finance, Defence and External Affairs ministries on domestic and external matters. Under the NSC, he also commands the Strategic Policy Group, which includes the three chiefs of the armed forces (Army, Navy and Air Force), chiefs of intelligence agencies like the Intelligence Bureau and RAW and secretaries of ministries such as Home, Defence, Finance and External Affairs. He is also the chairman of the Nuclear Command Authority, the apex body that controls and commands India’s nuclear arsenal. Doval is one of the few bureaucrats, if not the only one, who is a constant companion of Modi on most of his foreign tours. The former UP cadre IAS officer is one of the most experienced bureaucrats in the PMO. The ex-Chairman of the Telecom Regulatory Authority of India (March 2006-2009), he was one of the first bureaucrats to be handpicked by PM Modi after assuming office. The incumbent PM was so keen to have Misra on his team that he went to the extent of getting an ordinance promulgated to overcome Section 5 (h) of the original TRAI Act that prevented the Chairman of TRAI from taking up central re-employment after retirement. 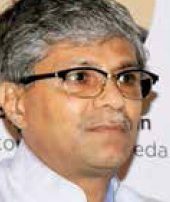 Misra, who has held several key positions in his parent cadre, including the post of Chief Secretary in the Kalyan Singh government, is known for taking quick and resolute decisions along with a reputation of being someone who never succumbed to political pressure. 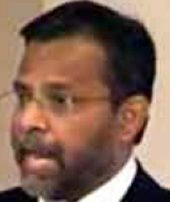 Apart from stints in the state and Centre, Misra served with the International Monetary Fund, World Bank and the Asian Development Bank on deputation. It is reported that the PM consults Misra on all vital matters of governance. It’s is also reported that young bureaucrats from the UP cadre look up to Misra for guidance. PK Mishra has varied work experience and has held senior positions in field organisations as well as at the policy-making levels of the government. He was the Principal Secretary of Gujarat when Narendra Modi was the Chief Minster. 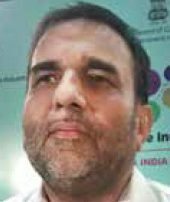 He shot into prominence as the Chief Executive Officer of the Gujarat State Disaster Management Authority (GSDMA) from 2001-2004. GSDMA was created after the Kutch earthquake in January 2001. The Gujarat cadre IAS officer served on the Task Force of the Union Home Ministry during 2012-13 to review the Disaster Management Act, 2005. He also chaired a committee constituted by the Union Agriculture Ministry to review the working of crop insurance schemes. He was on the International Advisory Group of the World Bank to prepare a Disaster Recovery Framework at the global level. 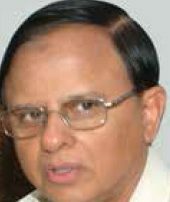 As Secretary to the Government of India, Ministry of Agriculture, during 2006-08, Mishra was actively involved in national initiatives such as the National Agriculture Development Programme (RKVY) and the National Food Security Mission (NFSM). 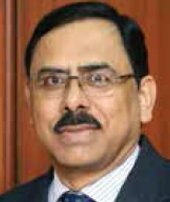 He has served as a Director in the Cabinet Secretariat, Joint Secretary in the Department of Personnel and Training and Principal Resident Commissioner of West Bengal Bhavan in New Delhi. Prior to that he served in West Bengal in various capacities in departments of Land Revenue Management and District Administration, Rural Development, Agriculture & Cooperation, Fisheries, Law & Justice and Science & Technology. He has also served in various capacities in Arunachal Pradesh in departments of Rural Development, Energy, Personnel & General Administration, Energy and Law and Justice. According to various news reports, he is the highest paid officer in the PMO. The closeness of the hardworking and honest officer to PM Modi can be judged from the fact that he was the only Gujarat cadre officer who accompanied the incumbent Prime Minister for his swearing in ceremony. 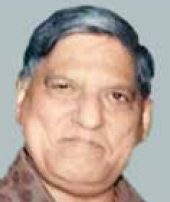 Before Modi handpicked him to serve in the PMO, Sharma was the Principal Secretary of Gujarat when the former was the Chief Minister of Gujarat. He used to interface with the industry on behalf of the Modi government in Gujarat and was a regular member of the then CM’s entourage on foreign tours. 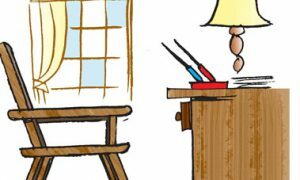 The low-profile bureaucrat is on the PM’s call 24×7. Therefore, there was no surprise when he was chosen by Modi as one of the first Gujarat cadre officers to join his staff in the PMO. In his current role, he is handles major economic matters on behalf of the PMO by interfacing with ministries dealing with infrastructure, energy and environment. 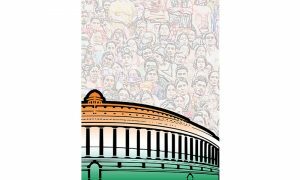 Rajeev Topno, who moved into the PMO during the UPA-2 rule in 2009, is perhaps the only officer from the previous regime to enjoy Modi’s trust in the present set-up in the most powerful office of India. The former Gujarat cadre officer came to Modi’s notice when he was serving as the District Development Officer in Bhuj from 2000-2003, during the reconstruction efforts in the aftermath of the earthquake that caused widespread destruction in the district. From 2008-2009, he also served as the Joint Chief Executive Officer of the Gujarat State Disaster Management Authority. During his stint in his parent cadre, he played a vital role in executing Modi’s dream project, Vibrant Gujarat, in 2009. As the PM’s private secretary, he works very closely with Modi on most issues. 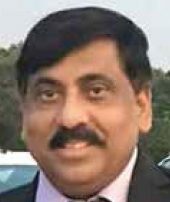 The former collector of Rajkot and Surat districts, who joined the Department of Personnel and Training in May 2016, became one of the first lateral entrants in the PMO in July this year. An Ayurvedic doctor by qualification, Kumar is said to well-versed with Sanskrit. Unless he is transferred out in the future, he will remain in the PMO till 2021. According to news reports, he is one of the most energetic young officers in Modi’s staff. An electronics engineer with a PhD degree from the Indian Institute of Information Technology & Management, Hiren Joshi joined Modi’s team in 2008 before moving to the PMO. The low-key officer is credited with establishing Modi’s presence in the digital world. He reportedly manages the PM’s social media accounts, including tweets in foreign languages, website and various apps. He also monitors online activity and submits a daily report to the PM at 11.30 pm. Though his official job description is described as “to provide secretarial assistance to Prime Minister in terms of Government of India (Allocation of Business) Rules, 1961, with regards to matters including but not restricted to Information Technology,” his domain expertise now stretches to monitoring TV channels and online platforms, especially those that are deemed to be critical to Modi’s policies. He also liaises with the Ministry of Information & Broadcasting and the Press Information Bureau. 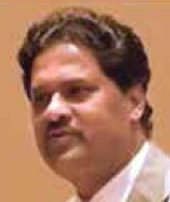 Originally a Gujarat Administrative Service officer, Sanjay Bhavsar was appointed to the IAS select list in 2009 through special notification of DoPT and was allocated Gujarat cadre. Like Joshi, he too has been with Modi’s CMO, handling assignments. In his new assignment, Bhavsar handles the PM’s appointments and tours. 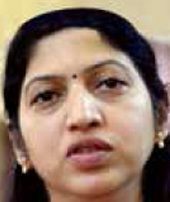 After getting a second extension of service in May this year, the Delhi-born IAS officer from the UP cadre will continue to head the Cabinet Secretariat until June 2019. Sinha’s style of functioning suits the Prime Minister’s preference for low-key and efficient bureaucrats. 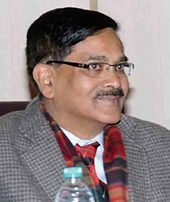 After serving in several high-profile departments in UP, Sinha moved to the Centre in 2004 and went on to work in several important departments. Before being elevated to the rank of Cabinet Secretary, Sinha served as the Secretary, Power (2013), followed by stint in the Ministry of Shipping. 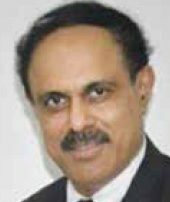 He also headed the committee that selected the Governor of the Reserve Bank of India after Raghuram Ranjan’s tenure expired in September 2016. 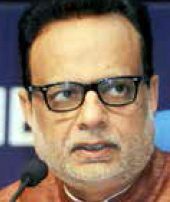 Hasmukh Adhia is yet another Gujarat cadre bureaucrat, who was handpicked by Modi to man one of the most important departments in his government. 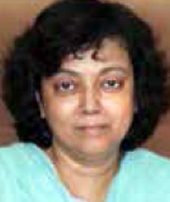 Adhiya joined the Finance Ministry on central deputation in November 2014 after serving as the Principal Secretary to the Chief Minister of Gujarat. Prior to that, he worked as the Managing Director of GSFS Capital & Securities Ltd and Gujarat State Financial Services Limited. 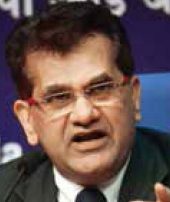 During his tenure in Gujarat, he built a reputation of being a financial expert due his experience of working with a number of state financial services companies. When Finance Minister Arun Jaitley was battling health issues, Adhia was steering the crucial ministry until he went on a 15-day leave to a yoga retreat. Adhiya’s tenure will come to end in November this year, if he is not granted an extension. 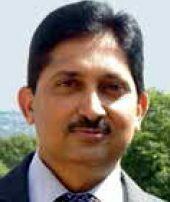 The Gujarat cadre officer is all set to take over as Secretary, Expenditure from AN Jha on January 31, 2019. Prior to this he was Additional Secretary in the Ministry of Finance. In his parent cadre, he was the Principal Secretary to the CM, apart from holding key administrative positions in several important departments. He was also a government Nominee Director of Bank of India. 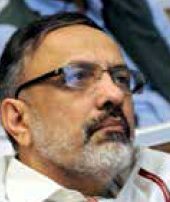 AB Pandey, the current CEO of Unique Identification Authority of India, is all set to take over the reins of the most important bureaucratic post in the Finance Ministry from the current incumbent, Hasmukh Adhia, who will be retiring at the end of November. He was appointed as the CEO of the controversial national identity project, commonly known as Aadhar, in July 2016. 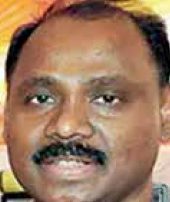 In his parent cadre, he served as the Director of Maharashtra State Electricity Distribution Company Ltd, Secretary, Information Technology and Secretary to the CM in 2003. He was also the Director, Ministry of Labour. 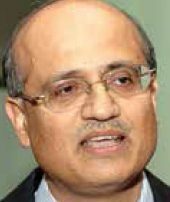 Vijay Gokhale joined the Indian Foreign Service in 1981. His previous diplomatic assignments include postings in Hong Kong, Hanoi, Beijing and New York. He also served as Deputy Secretary (Finance), Director (China & East Asia) and Joint Secretary (East Asia) during his stints at the headquarters of the Ministry of External Affairs. He was High Commissioner of India to Malaysia from January 2010 to October 2013, Ambassador of India to the Federal Republic of Germany from October 2013 to January 2016, and Ambassador of India to the People’s Republic of China from January 2016 to October 2017. He served as Secretary (ER) from October 2017 to January 2018. Gokhale is fluent in Sanskrit and Mandarin Chinese and is considered a China expert. 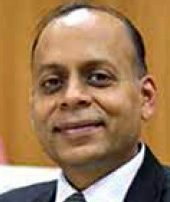 Rajiv Gauba took over as Union Home Secretary on August, 31 2017. Prior to that he joined the Ministry of Home Affairs as Officer on Special Duty (Home Secretary Designate) on June 2017, after moving from the Ministry of Urban Development where he served as Secretary. As the Home Secretary, Gauba has his hands full with matters pertaining to internal security, militancy in Jammu and Kashmir and the North-East, Maoist problems in the central and east India.Earlier, in the Government of India, he has worked in the Ministries of Home Affairs, Defence, Environment & Forests and Electronics and Information Technology. He has also served as Chief Secretary, Government of Jharkhand, and represented the country for four years on the board of the International Monetary Fund (IMF). The 1983 batch officer from Odisha cadre took over from Tapan Ray, who retired on September 30. Srinivas took charge at a time when the ministry has stepped up its crackdown on shell companies as part of larger efforts to curb illicit fund flows. Earlier he was the Secretary, Department of Sports, as well as Director General of Sports Authority of India (SAI). He comes in at a crucial time when the Corporate Affairs Ministry, which is implementing the Companies Act, has been taking stringent action against firms that have not been carrying business activities for long, apart from disqualifying directors associated with such entities. The implementation of the Insolvency and Bankruptcy Code (IBC) also comes under the ministry. 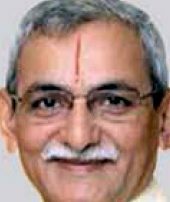 Vaidya Rajesh Kotecha, an ayurvedic doctor and former vice-chancellor of Jamnagar-based Gujarat Ayurveda University, has been appointed by the government as Special Secretary, Ministry of AYUSH. He has been appointed for three years. The 54-year-old Kotecha calls himself an “entrepreneurial Gujarati”. According to news reports, his first business venture was inaugurated by Modi, who was then a BJP general secretary. Kotecha was awarded Padma Shri in 2015. He is also the trustee of the World Ayurveda Foundation, an initiative of Vijnana Bharati, which claims to be the biggest science and technology movement in India. Given that this government has took it upon itself to make yoga popular worldwide, Kotecha commands plenty of resources from various departments of the government. He is seen as the driving force behind the International Yoga Day. 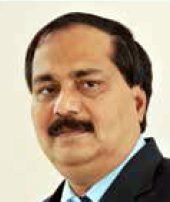 The former Chairman of the Board of Forward Markets Commission (2011), when the Jignesh Shah controversy broke out, Ramesh Abhishek was given charge of some of Modi’s pet initiatives such as Make in India, Start-up India, Ease of Doing Business and Industrial Corridors in the country. Earlier, he was tipped to take over as the chief of the Securities and Exchange Board of India (SEBI). 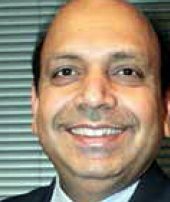 He has also served as the Director of the Export-Import Bank of India. Apart from that, he served in the Ministry of Food Processing Industries, Ministry of Home Affairs and Ministry of Law & Justice and was a key member of the e-Committee, which was entrusted with the task of bringing e-Governance in the judiciary. His other roles include Secretary, Performance Management in the Cabinet Secretariat. The Kerala cadre officer was instrumental in setting up the Information Technology department of the Kerala government way back in 1998 and oversaw the operations of the state government-owned Bharat Broadband Scheme. She has also implemented several IT-based government projects like the Universal Service Obligation Fund and was the CEO of National Common Service Centre. She has taken over the telecommunications department at a time when the telecom sector is facing massive upheavals due to falling revenues that has pushed some of the biggest telecom operators into huge debts. 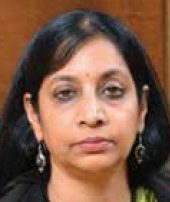 As the Telecom Secretary, she is also the de facto chief of the Telecom Commission. 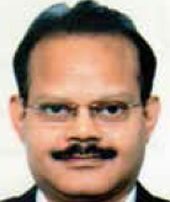 Ajay Kumar, former Additional Secretary, Ministry of Electronics and Information Technology, was appointed as Secretary, Defence Production in July. He assumes charge at a time when the country’s lagging defence production has come under scrutiny in the report submitted by the Parliament’s Committee on Estimates that highlighted serious problems with defence equipment manufacturing. It’s safe to presume that he will have to play an important role in boosting one of Modi’s pet projects, Make in India, that has a very large defence equipment manufacturing component. 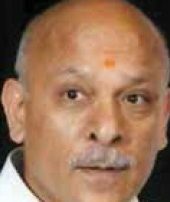 In his new role, he will be dealing with matters pertaining to Ordinance Factory Boards, Hindustan Aeronautics Limited and other Defence Public Sector Undertakings. The Gujarat cadre bureaucrat has over 22 years of experience in various state and central departments that include high-profile portfolios such as Revenue, Finance, Home, Water Resources and Education Departments and Public Sector Undertakings. 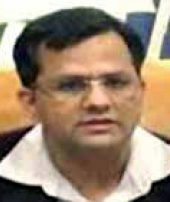 In his parent cadre, he rose to become the Managing Director and Executive Director of Gujarat State Petronet Limited. He also served as Principal Secretary (Economic Affairs) of the Finance Department in the Gujarat government. In the central government, he served as Joint Secretary, Ministry of Finance. Due to the departments he has worked in Gujarat, including as Director of GSPC Gas Company Limited, which was taken over by ONGC earlier this year, he is considered as an expert in hydrocarbon exploration. In his current role, his responsibilities would include keeping up FDI flows into the country. 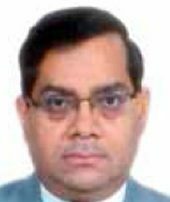 After serving in the Ministry of Health & Family Welfare as Additional Secretary, the Odisha cadre bureaucrat was promoted as the Secretary of MSME in July this year. 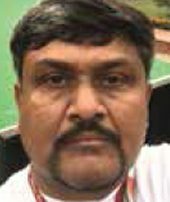 Arun Kumar Panda has held several senior positions in the State Government of Orissa. During his stint in the Health Ministry, he dealt with drugs and food regulation and was the Mission Director of the National Health Mission. In his parent cadre, he served in various departments such as Housing & Urban Development, Information Technology and Science & Technology Department. Anil Gopishankar Mukim took over as the Secretary of the one of the most important departments in India that guards the country’s mineral resources. He came in place of Arun Kumar, who retired in March this year. In his parent cadre, he served as the Director of several state enterprises like Gujarat Alkalis & Chemicals, Gujarat Narmada Valley Fertilizers & Chemicals Ltd, Gujarat State Petronet Ltd, Gujarat State Petroleum Corporation Ltd, Sardar Sarovar Narmada Nigam Ltd and Metro-Link Express Ltd. He is considered the main pointsman for all mining related issues in India. 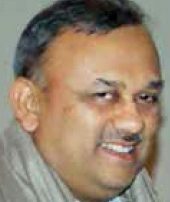 Anand Kumar, former Joint Secretary, Tourism, was appointed to his current post in June 2017. Given the thrust of the Modi government to make renewable energy an important component of India’s energy grid, Kumar set a target of adding 21 giga watts from wind and solar energies to the total energy output of India. To this effect, he worked in the background on India’s behalf to achieve the ratification of International Solar Alliance in 2017, which would open up India’s renewable energy sector to foreign players. Director of PTL Enterprises Limited. 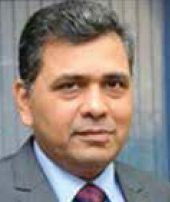 Surendra Nath Tripathi moved to the Centre from his parent cadre on deputation in April 2013 as Joint Secretary in the Ministry of Micro, Small and Medium Enterprises. He worked for promotion of Khadi and Coir Sector. 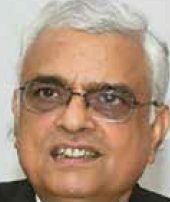 Later he functioned as Chairman Coir Board, in addition to being on the management committee and boards of NSIC, ITPO, DSIIDC and GITA. He worked tirelessly for e-Office ISO 9001:2008 certification and Udyog Aadhaar as part of Ease of Doing Business initiative of MSME Ministry. On his promotion, he worked as the Development Commissioner MSME and in the Department of Agricultural Research & Education as Additional Secretary and Financial Adviser. 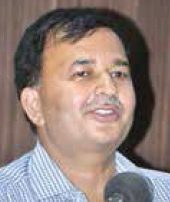 Upendra Prasad Singh, Director General of National Mission for Clean Ganga (NMCG), one PM Modi’s pet initiatives, took on the additional charge of Secretary, Water Resources in December 2017. 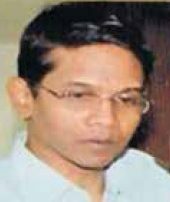 The Odisha cadre officer, who is also a mechanical engineer, had earlier served in the ministries of Steel and Petroleum & Natural Gas, besides working as the Managing Director of Oil India Ltd. Led by Nitin Gadkari, the Water Resources Ministry is implementing some of the key programmes and projects of the government such as the Pradhan Mantri Krishi Sinchayee Yojana, Namami Gange and river-linking. 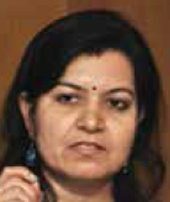 The former UP cadre bureaucrat, who was shifted to Uttarakhand when the state was carved out, took over as the top boss of the Ministry of Commerce in July 2018 after Rita Teotia of Gujarat cadre retired. From 2015 to 2017, he served as the Director General of Foreign Trade and has also served as Joint Secretary and Additional Secretary in the Department of Financial Services. Prior to that, he worked as Director in PMO under Atal Bihari Vajpayee and Manmohan Singh. In August 2015, OP Rawat joined the Election Commission of India as a Commissioner, and became the Chief Election Commissioner in January 2018. 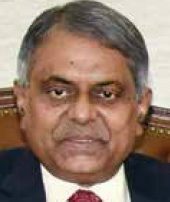 He retired from the IAS as a Secretary in the Ministry of Heavy Industries and Public Enterprises, Department of Public Enterprises, in December 2013. Earlier, he headed the Narmada Valley Development Authority. He received the Prime Minister’s Award for Excellence in Public Administration in 2010 for his innovative group initiative, the ‘Recognition of Forest Rights’, when he was the Principal Secretary, SC/ST Welfare Department, Madhya Pradesh. In 1994, he was deputed to South Africa as United Nations election observer to oversee the first post-apartheid elections. 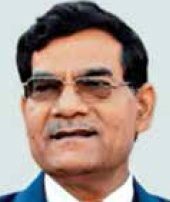 Before being appointed as the Chief Vigilance Commissioner (CVC) in 2015, KV Chowdhary was the former Chairman, Central Board of Direct Taxes, and one of the country’s premier expert on black money and corruption issues. The first non-IAS to head the CVC, he was an advisor to the Supreme Court-appointed special investigation team on black money. To investigate tax cases, he visited several countries such as Japan, Singapore, Malaysia, Thailand and Switzerland. In 2011, at the International Tax Dialogue Conference in New Delhi, he presented a paper on the tax-related investigations of high net-worth individuals. 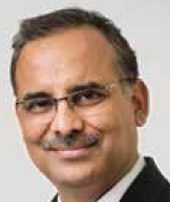 Anil Kumar Dhasmana was appointed as the Chief of the Research and Analysis Wing, India’s foreign intelligence service, on January 31, 2017. Before this he was Special Secretary at Cabinet Secretariat in New Delhi. 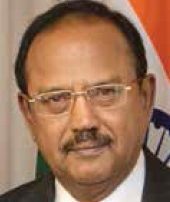 He is said to be the eyes and ears of Ajit Doval on external agencies inputs from across the world. 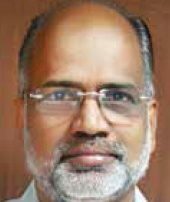 Born on October 2, 1957, in Pauri, Uttarakhand, he holds an MCom degree from Uttar Pradesh. He is 1981-batch Madhya Pradesh cadre IPS officer and his domain of expertise is considered to be Balochistan, counter terrorism and Islamic affairs. He also has vast experience on Pakistan and Afghanistan affairs. He has served in key international posts, including London and Frankfurt, and has also handled SAARC and Europe desks. 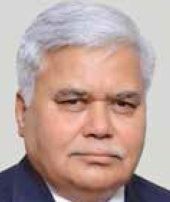 Before he joined as TRAI Chairman in 2015, Raw Sewak Sharma was Sec-retary, Department of Elec-tronics and Information Technology. One of his major assignments included his stint as Director General & Mission Director of the Unique Identification Authority of India, “where he was responsible for overall implementation of this ambitious and challenging project” to provide a unique identification number to all the citizens. A PhD from IIT (Delhi), double Masters in maths (IIT, Kanpur) and computer science (University of California), he is globally recognised for his contributions in the areas of IT and e-governance. In Jharkhand, Sharma oversaw the implementation of various e-governance projects in all state government departments. 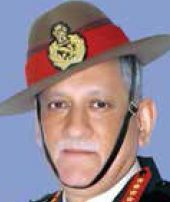 Bipin Rawat was commissioned to the Gorkha Rifles after passing out from the Indian Military Academy (Dehradun). He was appointed as the Chief of the Army Staff in December 2016. He has vast experiences in “operations across a wide spectrum of conflict and terrain profiles”. He commanded an infantry battalion along the Line of Control along the Eastern Sector, an infantry division in Kashmir, and a Corps in North-East India. He also commanded a Multinational Brigade in the Democratic Republic of Congo. He is academically inclined with M Phil in Defence Studies and a PhD on his research on military media strategic studies. He has penned several articles on national security and leadership in various journals and publications. 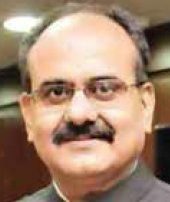 Gurdeep Singh assumed charge of the top post in NTPC in February 2016 after being the Managing Director of Gujarat State Electricity Company (GSECL). Before GSECL, he worked with Powergen, CLP, AES, IDFC and CESC. He has changed the nomenclature of NTPC from a power company to a fertiliser company. 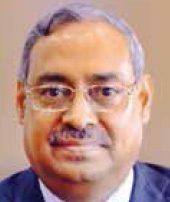 Tapan Kumar Chand has been at the helm of NALCO since July 2015. 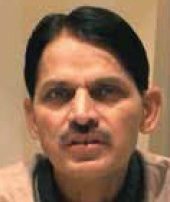 Before that he was Director (Commercial) at Rashtriya Ispat Nigam Ltd, which he had joined as a management trainee in 1983. 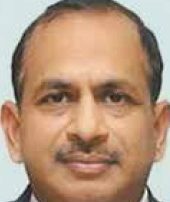 He also served as Director (Personnel) of Central Coalfields Ltd.
Anil Kumar Jha took charge as Chairman & Managing Director of Coal India Limited in May 2018. Before that he was the CMD of Mahanadi Coalfields Limited (MCL), a leading subsidiary of Coal India Ltd from November 2015. 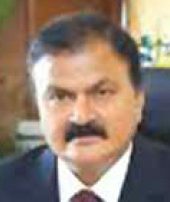 The 1986-batch Gujarat cadre officer heads the mini-ratna grade-1 organisation after serving in various capacities in the Urban Development department, Power and other industries. 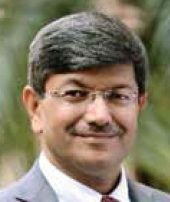 He also has varied experience in the chemical and fertilizer sectors as he has worked as the Managing Director of Gujarat Alkalies and Chemicals Limited (GACL) and Managing Director of Gujarat Narmada Valley Fertilizers Company Limited (GNFCL). A petroleum engineer from the Indian School of Mines (Dhanbad), Shashi Shanker is considered as an industry expert in the field of Exploration and Production. He will remain on the top post of ONGC until 2021. 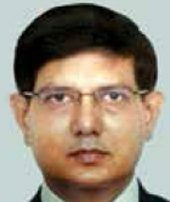 Apart from that, Shanker is Director (In-charge) of ONGC Tripura Power Company and the North East Transmission Company Ltd. He is also on the Board of the ONGC Videsh and Director (In-charge) and the Member of the High Powered Steering Committee for the government’s flagship initiative, Make in India. Before taking over as the top man of BHEL, Atul Sobti was on the Board of Directors, in charge of two portfolios: Power and Finance. 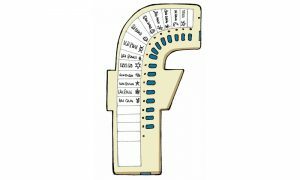 Prior to that, he held the additional charge of Director (Engineering, R&D). He was also part-time Chairman on the board of Raichur Power Corporation Limited, a Joint Venture Company of BHEL and Karnataka Power Corporation Limited. 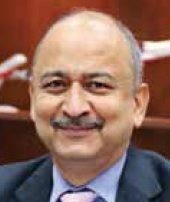 The 1985-batch Karnatka cadre IAS officer took over as the CMD of Air India in December 2017. The Uttarakhand-born bureaucrat also served as the Managing Director of Bangalore Metro Rail Corporation and Director of Karnataka Power Transmission Corporation Limited. He is also the non-executive Director of Air Mauritius. 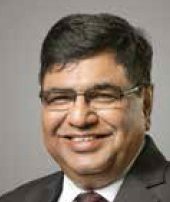 Anil Kumar Chaudhary took over as the top boss of India’s largest steel manufacturer in September this year. Before that, he was the Director (Finance) in the same organisation. He was also the Executive Director at the Bokaro Steel Plant. He joined SAIL as a Junior Manager, (Finance & Administration) in 1984. He also holds a degree in law from the University of Delhi. 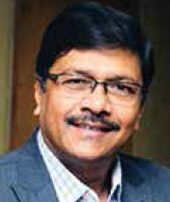 Anoop Kumar Mittal has been at the helm of India’s largest public sector real estate company since April 2013, taking on the additional role of Director (Finance) in March 2018. Prior to that, he was Director (Projects) besides being the head of Business Development. He has spent over 30 years with the organisation. Sanjiv Singh heads India’s largest commercial enterprise and the highest-ranked Fortune ‘Global 500’ integrated energy major. Indian Oil is the largest refiner in the country with 11 out of 23 refineries in India. 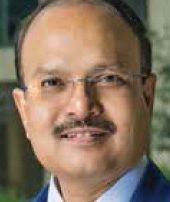 As Chairman of the Board, he also heads Chennai Petroleum Corporation Ltd, Hindustan Urvarak & Rasayan Ltd, a joint venture to set up three world-scale fertiliser plants. He is also the Chairman of Ratnagiri Refinery & Petrochemicals Ltd, a joint venture of Indian Oil Corporation Limited, Bharat Petroleum Corporation Ltd and Hindustan Petroleum Corporation Ltd.